06 Şubat 2019 Çarşamba 12:01 - 11 reads. "No, the police in Sweden is not your enemy"
"Debater: the Trend to hate cops are the last thing we need." "the DEBATE. The police are not your enemy. How hard is it to understand? The recent times have more and more begun to express themselves against the Swedish police on social media. It adds up the clip when police try to arrest anyone, and this is enough to punch the police power crazy, racist fascists who are oppressing the population. " "But these prejudices are dangerous in a democratic society, with skilled police officers and a fair justice system." "When I was younger told my dad for me about what it was like to live in Syria. When he went to the university demonstrated that he and his friends against the syrian regime. He was then captured and tortured. " "My mother told me about how all the young women in Lebanon always hid if they saw a police officer. This is because they were afraid that the police would ask their hand for marriage. If the police did it was the women had to say yes, otherwise ..."
"But I've always been told about this in Sweden, in security, in a country where the police can be relied on. A country where the police stay at the demonstrations is safety, not fear. A country where police officers are trained and act according to the law." "In one of Malmö's suburbs, where I live, I always make the police move around. And the feeling of uncertainty has not arisen because they are there, but they need to be there. The police are working day and night to keep everyone safe. All, regardless of any ethnicity, gender, or background we have." "If the police inform you that you are arrested, you should respectfully follow their orders. You cannot start negotiating about your rights in the midst of a situation where the police think that they need to act. " "the Right can be fully on your side. Police officers are also human beings, they can as all of us do wrong. What you do then is that you take it up in court. You demand your rights through the system that we have in the democratic society we find ourselves in. " "the Trend to hate cops is incredibly dangerous. We live in a fair and democratic country – but if the people lose trust in the system so it falls together. " "Your fight against the police is not the same as the Black Lives Matters struggle in the united states. Your fight against the police puts you not on the same side as those who fight against violence. It puts you side-by-side with them as do a battle that is not yours. " "It puts you side-by-side with those who have romantiserat hiphoplåtar where the pain is real pain. You are one of those who work against the people who put their lives on the games, for my and your security. " 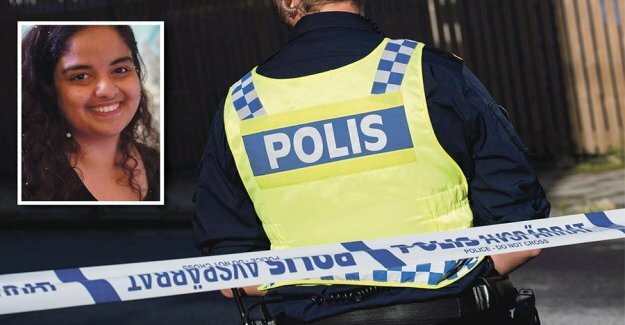 "the Swedish police are understaffed, there is more and more crimes, and the last thing they need is unnecessary resistance in their work. The last thing they need is that we see them as our enemies. The police are not your enemy."